Box has just announced a big partnership with business management solution service, SAP, at their Boxworks conference to help bring more mobile security to the Cloud. Nick Brown, SAP’s senior vice-president of mobile strategy, took the stage to share his thoughts about how the partnership would help deliver content to users faster and safer. SAP’s partnership will help Box accomplish three things: offer the necessary base security, enable better management of application deployment, and delivery of content efficiently. In addition, through the use of Box’s API, SAP will be able to innovate and develop business processes that it will be able to send to users much faster than before. Through this, customers will be able to participate and be delivered value right in the field. Through the use of Box and SAP, Brown mentioned use cases of secure and innovative things that could be done — like through the use by healthcare professionals to use tablet devices in order to pull in patient information to share without needing to print out records or wasting time when it would be more efficient to simply have it at your fingertips through the use of an app. Basically, information does not need to be simply limited to the use of email and antiquated methodologies. 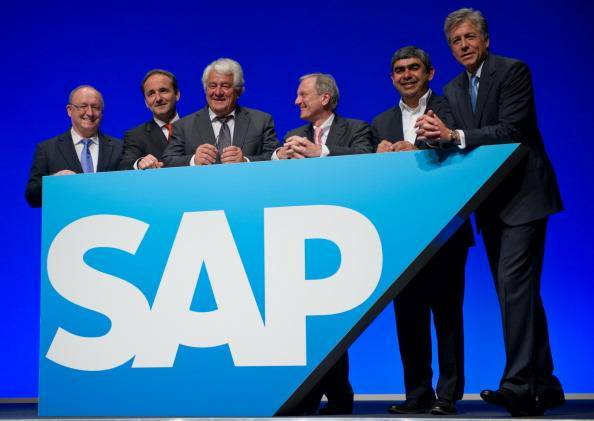 Records and data can be easily shared through Box and now more securely with SAP.